A bird flies across a deep blue sky beyond a rock with a hole in it shaped like Australia. hd00:15Shrubs form a green foreground for a view of a rock with a hole shaped like Australia. 4k00:15Shrubs form a green foreground for a view of a rock with a hole shaped like Australia. 4k00:17A coastal rock with a hole in it that is shaped more or less like the island continent of Australia. 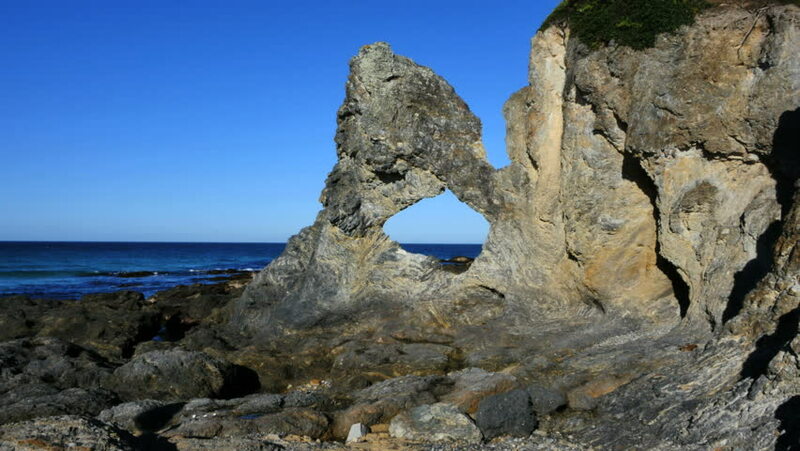 4k00:22The curious Australia Rock has a hole in in shaped more or less like the continent of Australia. hd00:29Foradada Island. View from Capo Caccia promontory, in winter. Alghero. Sardinia. hd00:43View of the sea with rocks out of focus at one side. hd00:06surf beats on the high bank of rocks, shot from above on a sunny day. No sound.